Home » News » News Flash! FRYEBURG, ME (May 31, 2011) – Green Thumb Farms, Inc. is pleased to announce that it has joined Fresh Solutions Network, LLC, a partnership of multi-generational potato and onion companies committed to driving profitable category growth through innovative marketing, category leadership and operational solutions. Fresh Solutions Network, LLC brings added value to its partner customers with consumer-driven marketing solutions, including category management, product and packaging innovation, brand strategy, advertising, promotion, consumer insight, merchandising and other programs designed to drive purchase and consumption of potatoes and onions. The partners of Fresh Solutions Network, LLC own production acreage and processing facilities across North America, and work directly with their customers to deliver high quality fresh, processed and value-added potatoes and onions from regional operations, providing products grown close to home while reducing food miles and transportation costs. Through their supply and logistics optimization services, the companies in the network are uniquely positioned to efficiently provide a full line of “seasonally best” local, regional and nationally sourced products year round. 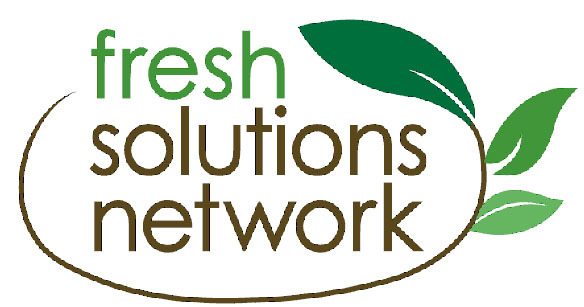 Fresh Solutions Network, LLC partners are: Sterman Masser, Inc. (Masser Potato Farms and Keystone Potato Products in Sacramento and Hegins, PA), Michael Farms (Urbana, OH), Basin Gold Cooperative (Pasco, WA), and, now, Green Thumb Farms (Fryeburg, ME). “We are very pleased that Green Thumb Farms has joined Fresh Solutions Network,” said Sherrie Terry, President & CEO. “Their strategic location in New England and recognized quality and service are a perfect complement to the network value proposition. We look forward to helping them leverage the value-added marketing, category management, and innovation solutions offered by Fresh Solutions Network to help them grow their customers’ business. ABOUT GREEN THUMB FARMS, INC.
Green Thumb Farms is a third generation family grower and shipper of quality potatoes located in Southwestern Maine. The Mount Washington Valley location provides unique climatic conditions that enable Green Thumb Farms to be the first to offer new Maine potatoes in August. State-of-the-art technology at the Fryeburg, ME packaging facility ensures quality potatoes in every bag. In addition to potatoes, Green Thumb Farms grows turf, dry beans and corn and is the founder of Maine Distilleries, LLC, where it produces Cold River Vodka and Gin made from Green Thumb Farms potatoes. Maine Distilleries is the only family-owned “farm to table” vodka operation in the world. Fresh Solutions Network, LLC brings added value to its partner customers with consumer-driven marketing solutions, including category management, product and packaging innovation, brand strategy, advertising, promotion, consumer insight, merchandising and other programs designed to drive purchase and consumption of potatoes and onions. Founded by multi-generational potato and onion companies that own production acreage and processing facilities across North America, each network partner works directly with their customers to provide high quality fresh, processed and value-added potatoes and onions from regional operations, delivering products grown close to home while reducing food miles and transportation costs. Through their supply and logistics optimization services, the companies in the network are uniquely positioned to efficiently provide a full line of “seasonally best” local, regional and nationally sourced products year round. The Fresh Solutions Network partners are committed to driving profitable category growth through leadership in innovation, category management, state-of-the-art operations, and sustainable agricultural and supply chain practices.